Many insurance companies are planning their journey and participation in the API (Application Programming Interface) economy. One of the most common questions from companies starting their API journey is about the potential use cases within their industry. 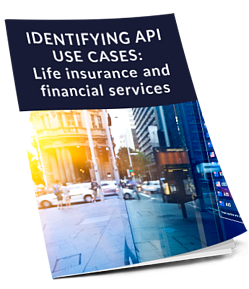 This paper is intended for business and IT leadership in the insurance industry, interested in jump-starting API initiatives by learning about industry use cases. The focus of this paper is life insurance, including related investment scenarios. Please complete the form on this page to view this white paper, compliments of IBM and Lightwell.